HAGATNA, Guam (AP) — Authorities have declared Guam clear of the danger of a powerful typhoon in the Pacific Ocean. GREENSBORO, N.C. (AP) — A North Carolina-based relief organization is flying tons of emergency supplies to a U.S. island territory in the Pacific Ocean struggling to recover from a massive typhoon late last month. 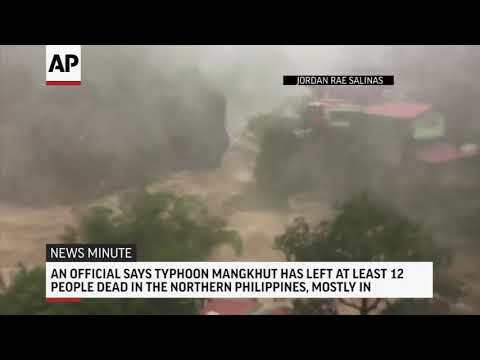 ILAGAN, Philippines (AP) — A strong typhoon blew across the northern Philippines on Tuesday, setting off landslides that left at least six people dead and forcing thousands to flee from villages that were still recovering from a deadly storm last month, officials said. A super typhoon that ravaged a Pacific U.S. territory sent tourists fleeing and postponed elections as residents struggled with a power outage, destroyed homes and long lines for gasoline. U.S. Commonwealth of the Northern Mariana Islands Gov. Ralph Torres said on his office's Facebook page that elections will be postponed until Nov. 13. Early voting will now begin Nov. 6. 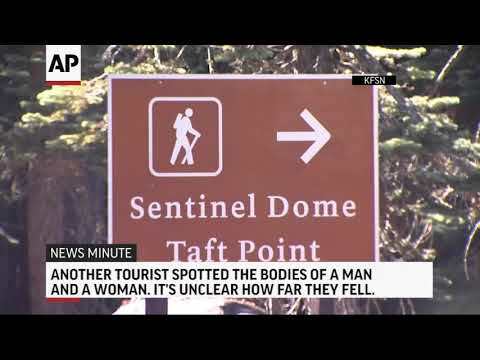 Tourists are leaving a Pacific U.S. territory after a super typhoon knocked out electricity and caused widespread damage. The U.S. Commonwealth of the Northern Mariana Islands is a popular tourist destination for Chinese and South Korean travelers. Saipan International Airport reopened with limited service Sunday after Super Typhoon Yutu slammed the Northern Mariana Islands this week as a Category 5 storm. 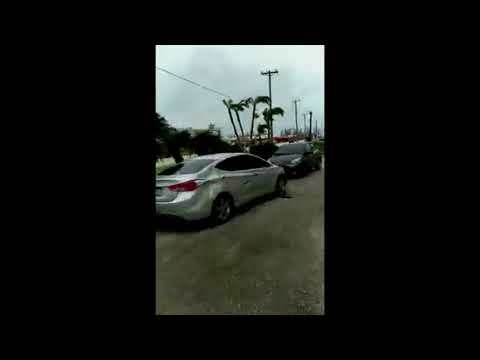 Saipan International Airport has been reopened with limited service after the Northern Mariana Islands were hit by Super Typhoon Yutu. Residents in the Northern Mariana Islands say they will bounce back after Super Typhoon Yutu ravaged the U.S. territory in the Pacific. 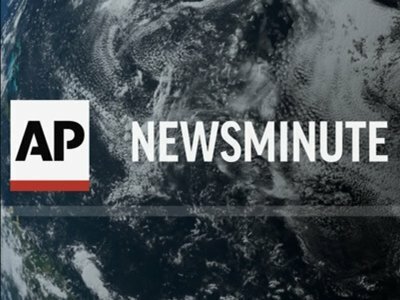 U.S. Federal Emergency Management Agency spokesman David Gervino says a military plane is bringing food, water, tarps and other supplies to help the Northern Mariana Islands cope with the aftermath of a massive typhoon. Gervino says FEMA already had significant water and food supplies in place before the Super Typhoon Yutu hit. 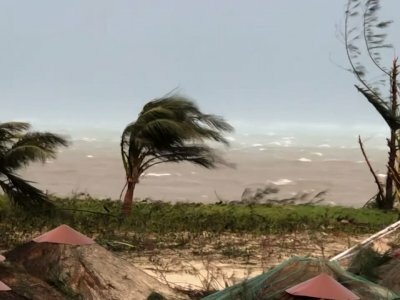 Gregorio Kilili Camacho Sablan, the Commonwealth of the Northern Marina Islands' delegate to U.S. Congress, said the territory will need significant help to recover from the storm, which he said injured several people. Gregorio Kilili Camacho Sablan, the Commonwealth of the Northern Marina Islands' delegate to U.S. Congress, says the territory will need significant help to recover from Super Typhoon Yutu. TOKYO (AP) — A powerful typhoon ripped through Japan on Sunday, forcing cancellations of flights and trains, including in the Tokyo area as authorities warned of strong winds and torrential rain. Many flights were canceled at major airports throughout Japan, including Tokyo's Narita and Haneda, as Typhoon Trami approached. 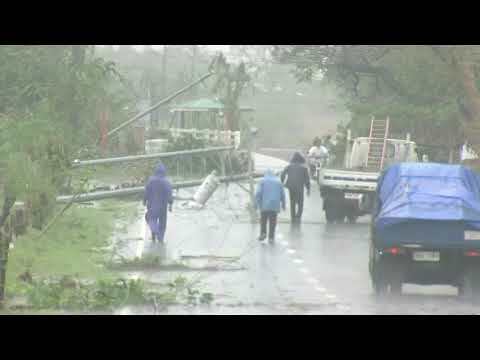 The storm destroyed power lines on the southwestern islands of Okinawa on Saturday. A resident stands beside tin-roof houses swept away by ferocious winds of Typhoon Mangkhut, which set off deadly landslides and flooding in the northern Philippines before pounding Hong Kong and southern China. In other images from the Asia-Pacific region this week, North Koreans fill the streets of Pyongyang to welcome South Korean President Moon Jae-in who arrived for a three-day summit with North Korean leader Kim Jong Un. ITOGON, Philippines (AP) — They're eerie photographs, probably the final images of a few Filipino villagers standing placidly outside low-slung buildings a day before the green mountainside behind them collapsed on that spot. The massive landslide buried dozens of poor miners and their families as Typhoon Mangkhut rampaged across the country's north. MIAMI (AP) — Thousands of people are still in shelters in North Carolina anxiously waiting to find out if they have a home to go back to. Heavy rains and swelling rivers are still a major concern as rising flood waters may affect communities barely touched by Florence. The storm is being blamed for at least 37 deaths in three states. MIAMI (AP) — Like hurricanes Harvey and Katrina before it, Florence will be remembered for unleashing a staggering amount of water over a vast area. The flooding unfolded just as forecasters expected, but many residents in the Carolinas still seemed caught off guard as they were plucked off a vehicle's roof or pulled by boat from their flooded homes. Whether they were just stubborn, short of resources to leave or believed they had already seen worse devastation, all will be haunted by what the water has swept away. MIAMI (AP) — The forecast for Florence has not changed, unfortunately: It's still raining, and rivers are still rising. All but one road in and out of a North Carolina city of 120,000 people are underwater or blocked by debris. Residents of inland communities who thought they were safe from the storm have to find high ground because of expected flooding. When the sun finally comes out later this week, it's going to take a long time to dry out. 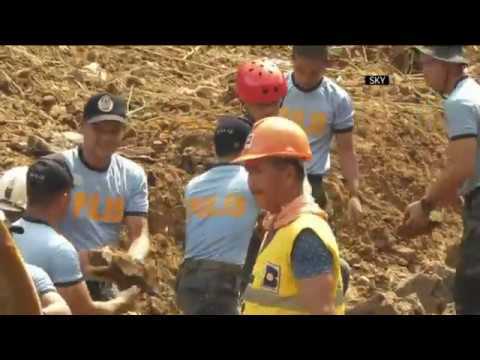 ITOGON, Philippines (AP) — Dozens of people believed buried in a landslide unleashed by Typhoon Mangkhut in the Philippines probably did not survive, a mayor said Monday, although rescuers kept digging through mud and debris covering a chapel where they had taken shelter. HONG KONG (AP) — Mangkhut weakened from a typhoon to a tropical storm as it moved deeper into southern China on Monday, leaving death and destruction from Hong Kong to the Philippines. MIAMI (AP) — A heavy-duty response already is slogging through heavy rains and floodwaters to help people trapped or displaced by Florence's watery onslaught. Storm winds might be dropping, but rivers are rising and the next few days could bring the most destructive round of flooding in North Carolina history. Meanwhile, half a world away, Hong Kong was braced for the strongest typhoon to hit in nearly two decades. 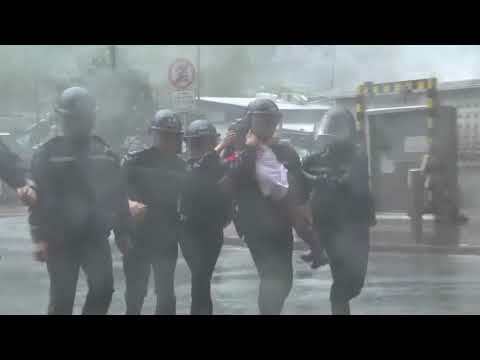 HONG KONG (AP) — Typhoon Mangkhut wreaked havoc on the northern Philippines and southern China, leaving dozens of people dead and forcing millions to evacuate.